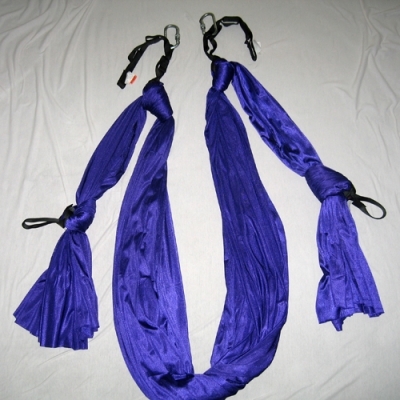 Fully Assembled Aerial Flying Trapeze Yoga Hammock with Loops for Hands or Feet. Includes: Tricot with Shine aerial fabric either 7 yards or 10 yards, Two 13″ black web sewn loops, two 24” black web multiple links, 2 steel screw-gate carabiners. This hammock is better than the trapeze hammocks made from parachute fabric that have handles because the fabric is softer, the hand loops can be used for your hands or feet and our equipment is rated for your safety. 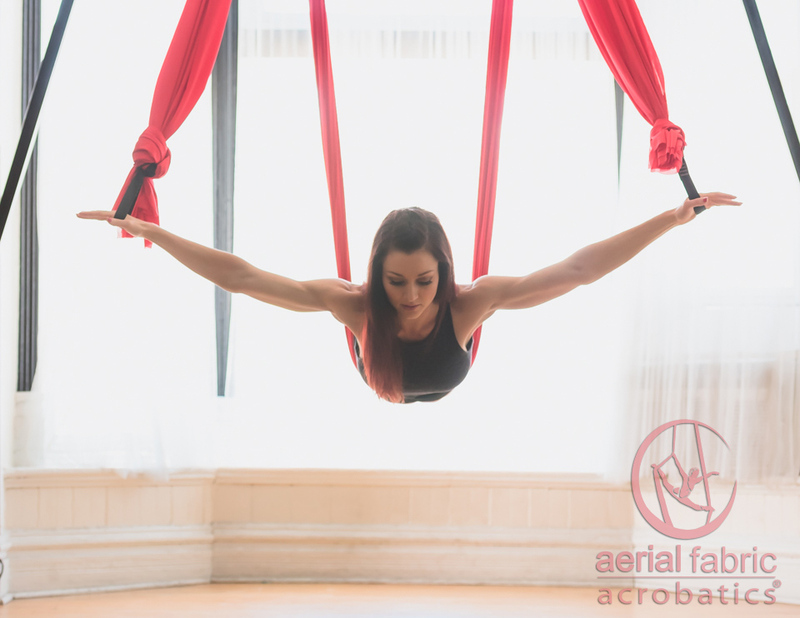 All super important when you are suspending yourself in the air. The loops offer extra support, or can increase your core workout depending on your style of aerial fitness or Yoga. 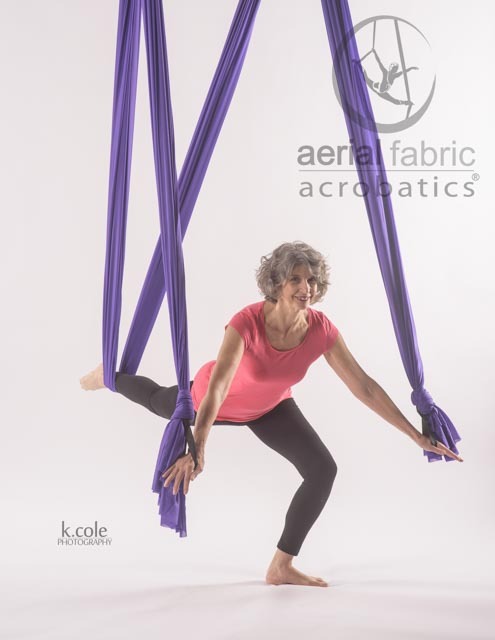 Our Trapeze Yoga Hammock is made with 7 yards of soft, durable, easy to clean Aerial Fabric. Our customers prefer our hammocks because the nylon fabric is softer than the stiff uncomfortable parachute material. We assemble the hammock with 7 yards of Aerial Fabric Tricot with Shine to two 24” multiple links. These allow you to adjust the hammock height to your liking. We attach two 13″ black sewn runners for hand or foot loops. These are easy to use, better than handles because they do not roll your wrist. 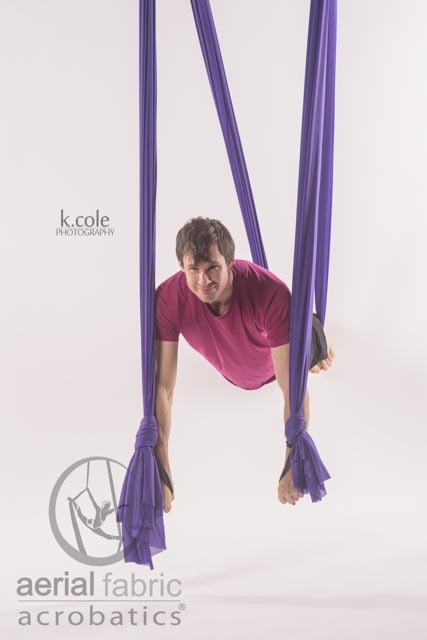 The loops can be removed easily for a more flow style of Aerial Yoga. The Hammock comes with two steel screw gate carabiners that are rated for their strength. This is important since you want to be safe. 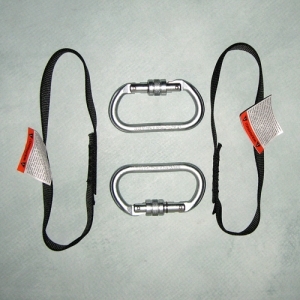 The carabiners attach to ceiling points (Ceiling attachment points are not provided). 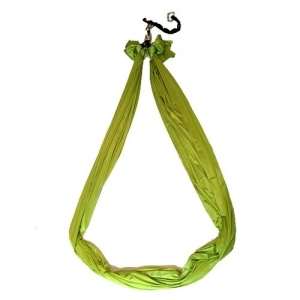 Our Trapeze Yoga Hammock is made with 10 yards of soft, durable, easy to clean Aerial Fabric. Our customers prefer our hammocks because the nylon fabric is softer than the stiff uncomfortable parachute material. We assemble the hammock with 10 yards of Aerial Fabric Tricot with Shine to two 24” multiple links. These allow you to adjust the hammock height to your liking. We attach two 13″ black sewn runners for hand or foot loops. These are easy to use, better than handles because they do not roll your wrist. The loops can be removed easily for a more flow style of Aerial Yoga. The Hammock comes with two steel screw gate carabiners that are rated for their strength. This is important since you want to be safe. The carabiners attach to ceiling points (Ceiling attachment points are not provided). 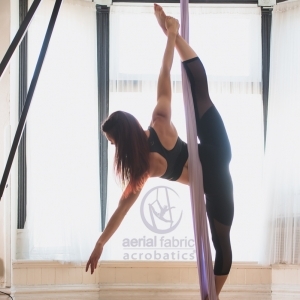 Aerial Fabric, Tricot with Shine is 100% nylon tricot, tightly woven, 40 denier (thread thickness), 108 inches or 9 feet wide, stretches on the width not the length. Made in the USA, and stress tested to 2,000 pounds (About 8kN). Strength certificate provided upon request.